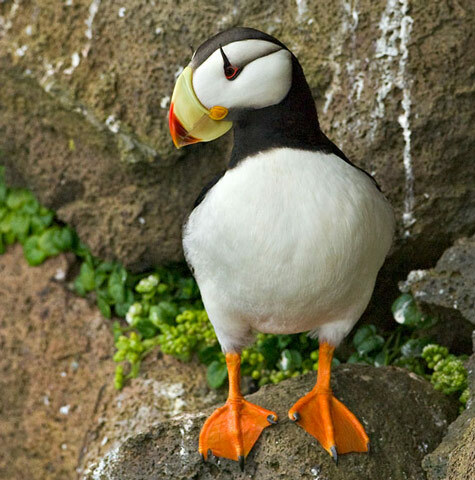 Horned Puffin: Breeds from northern Alaska south to the British Columbia border. Spends winters at sea south to Washington; rarely to California. 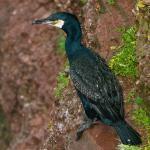 Preferred habitats include cold ocean waters, sea cliffs, and rocky or grass-covered islets and rocks.